Pale pink peonies and white gooseneck loosestrife lysimachia, first go marching by. 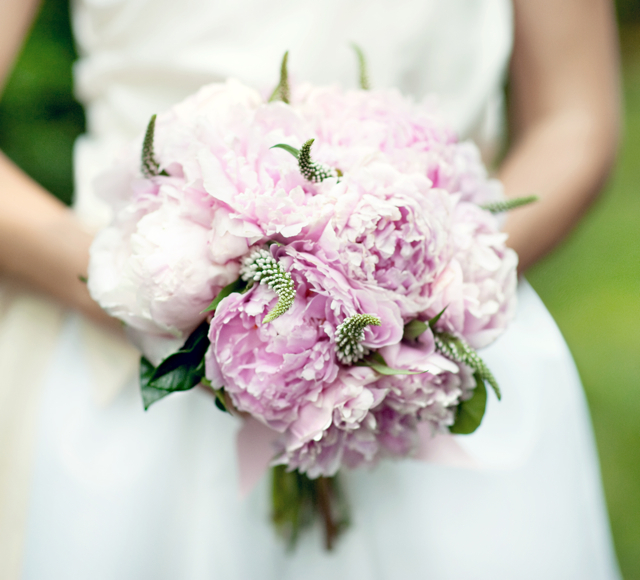 Mystery photographer captured the true beauty of this perfectly pink bouquet. 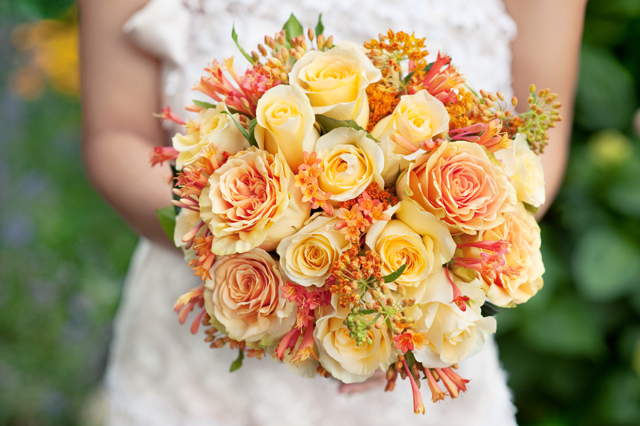 Creme de la creme roses are the featured bloom here, but orange asclepias and honeysuckle vine from my garden make this bouquet divine. 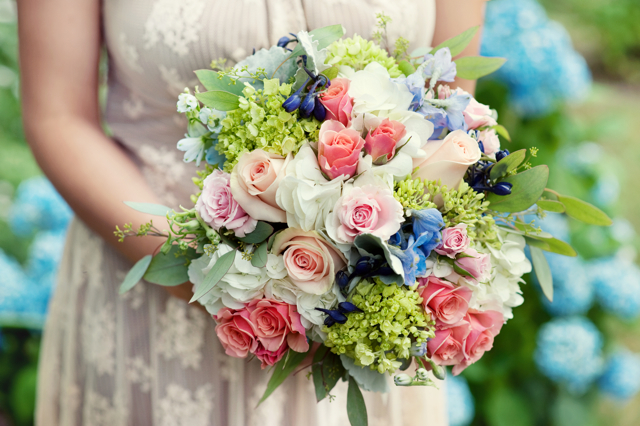 Soft and romantic… the vibe for this bouquet is created by blue delphinium, Elsa spray roses, cream and green hydrangea, along with lamb's ear and seeded eucalyptus, and a sweet splash of candy bianca roses. 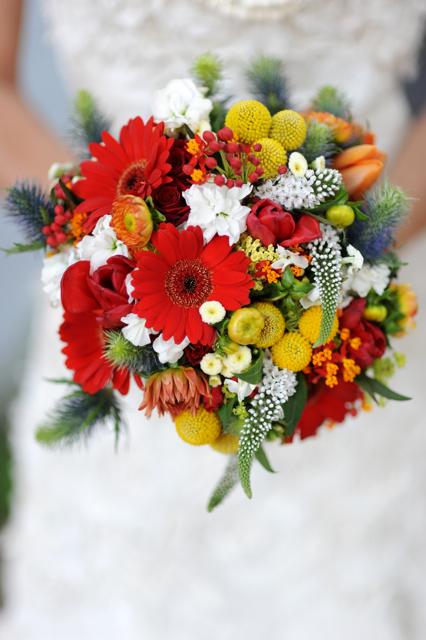 Bright as summer sunshine, this bouquet is composed of red gerber daisies, yellow billy balls, blue thistle, white gooseneck loosestrife, orange tulips, orange dahlias, white stock, feverfew, orange dahlias, red asclepias, yellow yarrow, and red tulips. Your work looks great!! Can I take a guess? One of your daughters is the mystery photographer???? Holly, the more I look at your work, the more I fall in love with it, and in turn, with you! The things you create are simply incredible. I can’t believe that I thought I didn’t care about flowers. I can’t wait for you to do my wedding, I know that you’ll make it spectacular! !